"Patron Saint of the Impossible"
Frank T. Pickrell, who had no experience in oil, considered himself lucky to have hired an experienced driller, Carl Cromwell, for fifteen dollars a day and stock in the company. 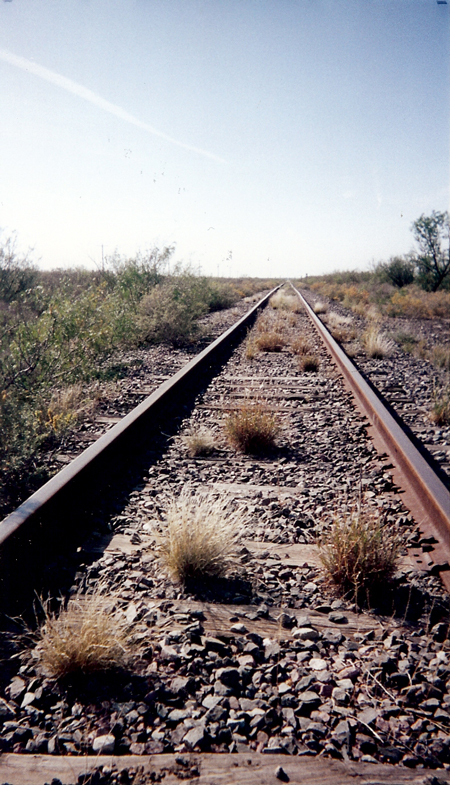 Cromwell moved his family to the lonely drilling site beside the tracks of the Orient Railroad. For 646 days the cable-tool rig pounded, and the two-man crew bailed the hole. They averaged only 4.7 feet a day. Late on May 27, 1923, the bit drilled into the dolomitic sands, called "Big Lime," just above the 3,050-foot level. Cromwell shut down the well when he saw gas bubbles escaping from the casing head. 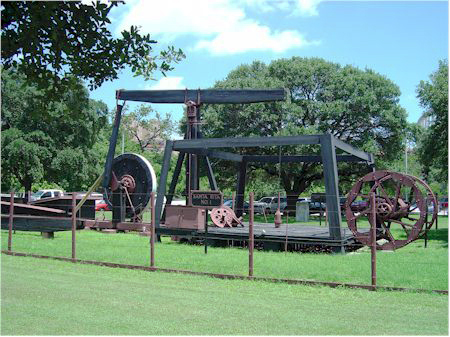 The driller and his tool dresser, Dee Locklin, were convinced they had an oil well and left the site to lease surrounding mineral acreage while the discovery was yet unknown. 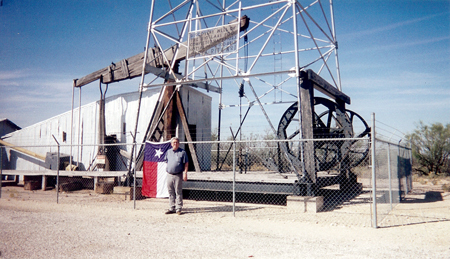 This was the first major discovery of oil in West Texas. It made a rich school of the University of Texas. The original "walking beam" is located on the University of Texas campus is Austin, Texas. 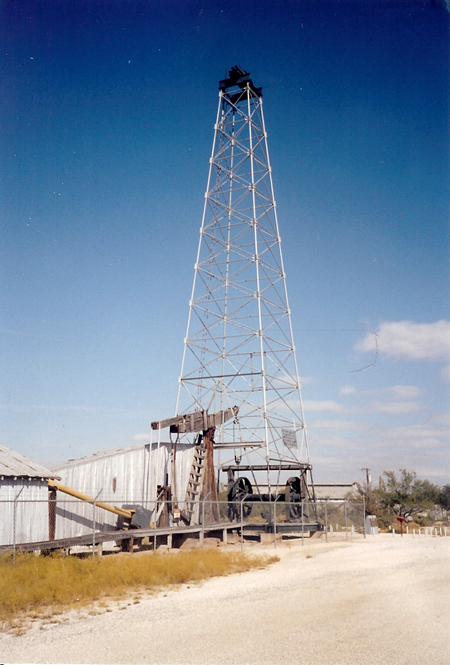 Santa Rita #1 is located in Texon, Texas. No there is nothing in Texon. Texon is 13 miles west of Big Lake, Texas on U.S. 67. (The lake is dry) Where is Big Lake? It's 70 miles west of San Angelo, Texas on U.S. 67. The Santa Rita #1 was recently featured in the movie, "The Rookie"